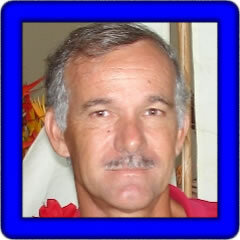 (August, 2010) Patrick has been providing styles on the PSR Tutorial forum for some time now. You can find a selection of the styles he has tweaked on his PSR3000 and now on his PSR-S910 on Patrick's Collections page. Beside creating styles, Patrick also likes to compose songs. The Jukebox here has several of Patrick's songs. They illustrate some of the styles and let you hear and enjoy Patrick's creations. I've written about 60 songs at the moment: slows, bossas, sambas, zouks, tahitian music, reggae, a lot of them are about my island, New Caledonia. Of course all the song and style titles are in french; perhaps the members will find some nice styles here. Patrick provided 30 songs in midi format. These were created on the PSR-S910 (91). Individual songs are shown in the table below and any one song can be downloaded by right-clicking on the song link. The table displays the song title, tempo (T), time signature (TS), lyrics (L), chords (C), where possible, the style used, the original volume (V), and the keyboard used (K). You can download Patrick's 30 MIDI songs here: HP-91.zip.